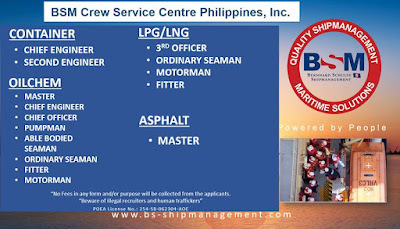 SEAMAN JOB INFO - Opening recruitment ship crew is looking for the following position officers, engineers, ratings with BSM crew service. 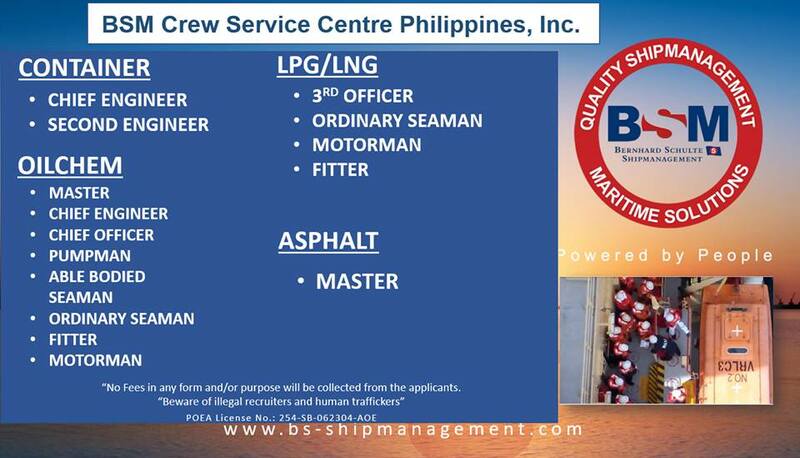 Interested applicants may visit our office at BSM House 1965 Leon Guinto St., Malate Manila (Tel. No. 516-5640). 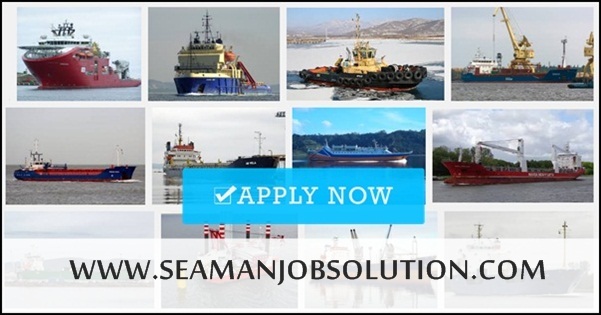 SEAMAN JOB INFO - Opening recruitment ship crew is looking for the following position officers, engineers, ratings with Somas maritime ship. FEEL FREE TO VISIT OFFICE, ADDRESS: G-65 Haware Fantasia Business Park Plot no- 47 Sector- 30A Near Inorbit Mall, Vashi, Navi Mumbai. 0 Response to "Hiring Crew Container, Supply, LPG, Asphalt, Oil Chemical, LNG Vessel"